We will have the course set up on Friday for practice. Players meeting is at 9:00 sharp Saturday Morning. We play Random Draw Doubles on Friday at 5:00 limited to 72 players. 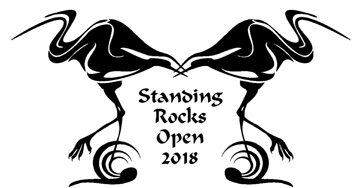 Standing Rocks Park may be one of the better venues for a disc golf tournament - super beautiful vistas, a great lodge and tons o' throwing space. The park is a glacial remnant of a recent ice age with a oak/maple/pine forest and huge boulders all over the place. The course is pretty nice. Radical elevation changes, long holes(300-500ft) half wooded and tight, groomed fairways and nasty rough, some may be reminded of Sandy Point. The open holes play on huge hills that resemble Elver. Our nine added temp holes really enhance the regular course. This is a pro and advanced level tournament. Our layout is pretty hard and fairly long. The length of the course and the hills require a bit of stamina and endurance. I suggest that you wear tough pants and long sleeves. Leave shorts, fleece, nylon and anything nice at home; you could get chewed up out here. The course is ideal for pull carts due to the groomed fairways. The course should be set up on Friday morning by noon or as baskets arrive. Random Doubles at 5:00 Friday. We plan to add $2000-or more cash to the pro purse and extras for the amateurs. 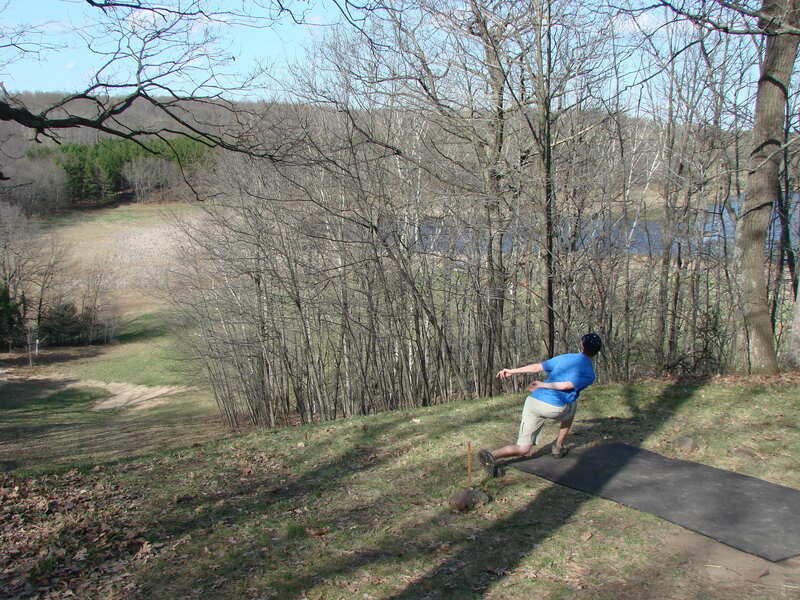 Our tournament traditionally has some of the largest PDGA Adv fields. Bigger field means more points for those wishing to qualify for Worlds, Nationals or even the Wisconsin Tour Finale. You must pre register for this event. Please send your fee ahead. Your entry fee is the only way to insure your spot. There is still plenty of room for the April 27th event, Intermediate and Rec divisions play. We strongly suggest registering early for this tournament. We fill up ten to twelve weeks in advance. Entry Form click here, print and mail. For more information contact Randy Schukar (715) 341-5240 or email rschukar@sbcglobal.net.